worked at two, sometimes three jobs at a time to provide for her boys. They were poor and his mother occasionally relied on food stamps and other government assistance. He spent most of his childhood in a very improvised neighborhood but a good deal of his childhood took place in a middle-class neighborhood. Benjamin and his brother fell farther and farther behind in school. In fifth grade, Carson was at the bottom of his class. His classmates called him "dummy" and he developed a violent uncontrollable temper. When Mrs Carson saw Ben's falling grades she determined to turn her sons lives around. She sharply limited the boys television watching and refused to let them outside to play until they had finished their homework each day. 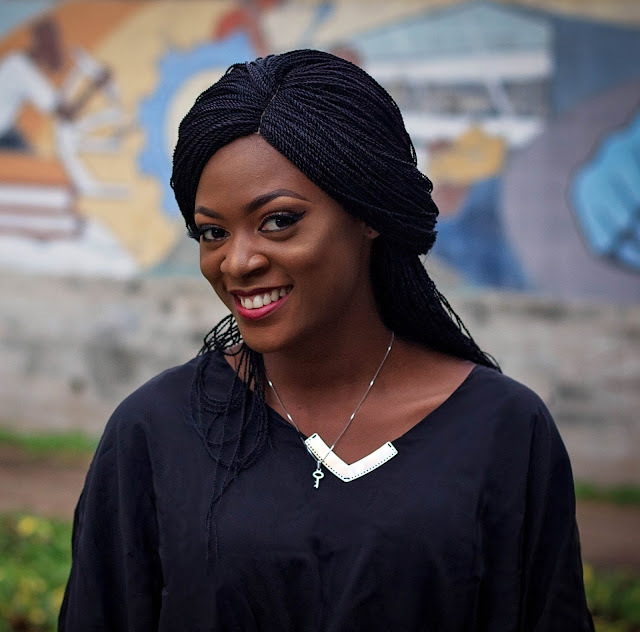 She required them to read two library books a week and to give her written reports on their reading even though with her own poor education she could barely read what they had written. 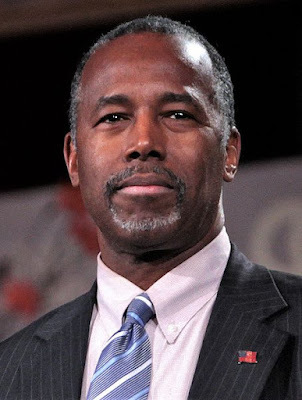 Carson attended Southwestern High school in Southwest Detroit, where he participated in the Junior Reserve Officer Training Corps (JROTC), a program sponsored by the United States Armed Forces and reached the rank of cadet colonel. In 1973, Carson graduated from Yale University, where he majored in psychology. From Yale, he went to the Medical School of the University of Michigan, where his interest shifted from psychiatry to neurosurgery. His excellent hand-eye coordination and three-dimensional reasoning skillsmade him a superior surgeon. After medical school he became a Neurosurgery resident at the world famous John Hopkins Hospital in Baltimore. At age 32, he became the hospitals Director of pediatric Neurosurgery, a position he held for 29 years. In1987, he made medical history with an operation to seperate a pair of Siamese twins. The Binder twins were born joined at the back of the head. Operations to seperate twins joined in this way had always failed, resulting in the death of one or both of the infants. Carson agreed to undertake the operation. A 70 member surgical team led by Dr. Carson worked for 22 hours. At the end, the twins were successfully separated and now survive independently. 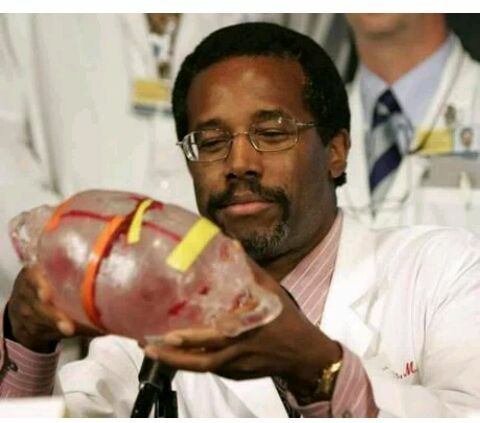 Carson's other surgical innovations have included the first intra-uterine procedure to relieve pressure on the brain of hydrocephalic fetal twin, and a hemispherectomy, in which an infant suffering from uncontrollable seizures has half if its brain removed. This steps the seizures and the remaining half of the brain actually compensates for the missing hemisphere. In 2002, Carson was forced to cut back on his public appearance a bit when he faced a medical problem of his own. In June he was diagnosed with prostrate cancer, but fortunately the cancer was caught in time. Carson the surgeon became Carson the patient, but that did not stop him from taking an active role on his own case. The feisty doctor reviewed his own x-rays and quizzed the tear of surgeons who operated on him. Carson fully recovered from his surgery and came with a clean bill of health. Because of his brush with death, however, Carson made a few life changes. Although he was ways interested in cancer, Carson told Ebony, now he is "looking more at root causes of cancer and how it can be prevented. " In 2003, Carson faced perhaps his biggest challenge :separating two adult conjoined twins Ladan and Laleh Bijani, who were joined at the head, were twenty-nine years old when they decided to be seperated. 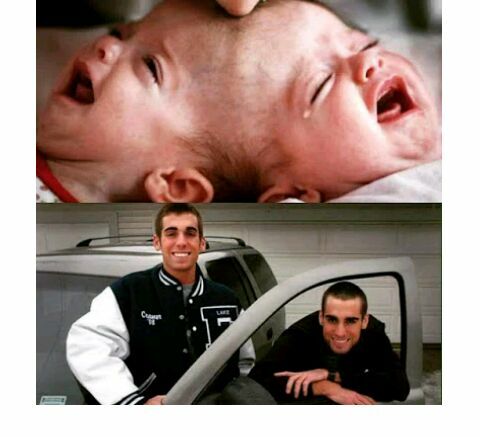 The separation of adult craniopagus twins had never been attempted because the outcome was almost certain to be death for both patients. Even Carson, ever the optimist, was not sure what the results would be. He tried to talk the two women out of the surgery, but after many discussions with them, he agreed to move forward. Ladan and Laleh had law degrees, were extremely bright and according to Carson, they knew what exactly was in store for them. Carson and a team of more than one hundred surgeons, specialist, and assistants conducted the fifty-two hour operation on July 8, 2003 in Singapore. They used a 3-D imaging technique that Carson had developed for the Banda operation. The computerized images allowed the team to practice "virtually before the operation and allowed them to follow a computerized reconstruction of the twins brains during surgery. Midway through the operation however, complications set in and Laden and Laleh both died because of severe blood loss. As devastating as the loss was, Carson Told the press, as reported in the observer, "what they have contributed to science will live beyond them. " In 2004, he was awarded Healthcare Humanitarian Award. Dr Carson has long been in constant demand as a public speaker and devotes much of his time to meeting with groups of young people. In 2008, president George W. Bush awarded Dr. Carson the presidential medal of freedom, the nation's highest civilian honour. In 2012, he announced his plans to retire. He left John Hopkins in 2013 after more than 30 years with the institution and with an exemplary record as a Neurosurgeon. TALENT: Our creator has endowed all of us not just with the ability to sing, dance or throw a ball, but with intellectual talent. Start getting in touch with that part of you that is intellectual and develop that, and think of careers that will allow you to use that. HONESTY: If you lead a clean and honest life you don't put skeletons in the closet. If you put skeletons in the closet, they definitely come back just when you don't want to see them and ruin your life. INSIGHT: It comes from people who have already gone where you're trying to go learn from their triumphs and their mistakes. NICE: If You are nice to people, then once they get over the suspicion of why you are being nice, they will be nice to you. KNOWLEDGE: It makes you into a more valued person. The more knowledge you have the more people need you. It's an interesting phenomenon but when people need you, they pay you, so you'll be okay in life. BOOKS: They are the mechanism for obtaining knowledge, as opposed to television. IN DEPTH LEARNING: Learn for the sake of knowledge and understanding, rather than for the sake of impressing people or taking a test. GOD: Never get too big for Him. Carson's widely publicised speech at the 2013 National Breakfast catapulted him to conservative fame for his views on social and political issues. In May 2015, he ended several months of speculations by announcing his intention to seek the republican party's nomination for president of the United States. He led the polls for a brief period preceding the Iowa caucus, but after a disappointing showing in that contest and early primaries he suspended his campaign and endorsed former rival Donald Trump for the Republican nomination. 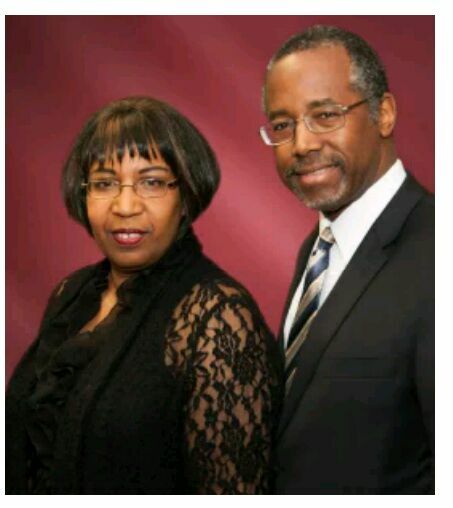 He married his wife, professional violinist Candy Carson, in 1975 and has three sons with her :Rhoeyce, Ben Jr. and Murray.All three sons are currently working some impressive careers.